In this swiftly growing market of Cloud Services, contemporary technologies such as IoT, artificial intelligence, data analysis, web mobile app hosting, etc. requires the power of heavy computing. Cloud computing of these days gives an alternative for building the IoT Architecture of the internal area. With the help of IoT Cloud Platforms, any person can take the advantages of scalable computing power using the internet on a PnP or Plug and Play basis. As this technology can save the organizations from the requirement of investing and maintaining the costly infrastructure or IoT Architecture, this has become a highly popular solution for the people. With the help of IoT Cloud Platforms or IoT Architecture, the world is growing up day by day. There is no agreement of IoT Architectures that is globally agreed. Different researchers have proposed different architectures. The “Three-layer” and the “Five-Layer” IoT Architectures are considered to be the basic IoT Architecture. There are also two kinds of IoT Architecture Systems named Cloud and Fog. There is a range of companies that will let you afford IoT Cloud Platforms for the management, development, and operation of your applications. Here, we are going to introduce you with some highly effective cloud platforms that can be utilized in managing the IT requirement of an organization wonderfully. In this age of Cloud Services and IoT Architecture, no one can deny the importance IoT Cloud Platforms. To keeping pace with this changing world, the developers are seen highly interested in IoT Cloud Platforms along with the IoT Architecture. For your convenience, we have reviewed the leading IoT Cloud Platforms of the top-notch companies of these days. Have a look! The AWS or Amazon Web Service is supplementary of the top-notch company of eCommerce named Amazon. Under the parasol of AWS, the company Amazon affords cloud platforms on-demand, and these cloud platforms offer you data analysis, storage, etc. services. Amazon provides its service to companies, governments, and individuals with a massive share of 35%. AWS allows the subscribers to get benefitted from a full-blown virtual cluster of the computers which is based on their requisites. The whole service can be enabled via the internet. Amongst all of the cloud platforms, Amazon is told to be the most flexible and powerful solution. The virtual cloud platform of AWS comes with nearly all of the attributes of a computer which includes hardware, pre-loaded applications, databases, an operating system, CRM, etc. It also has tools for cloud security, management, and development. 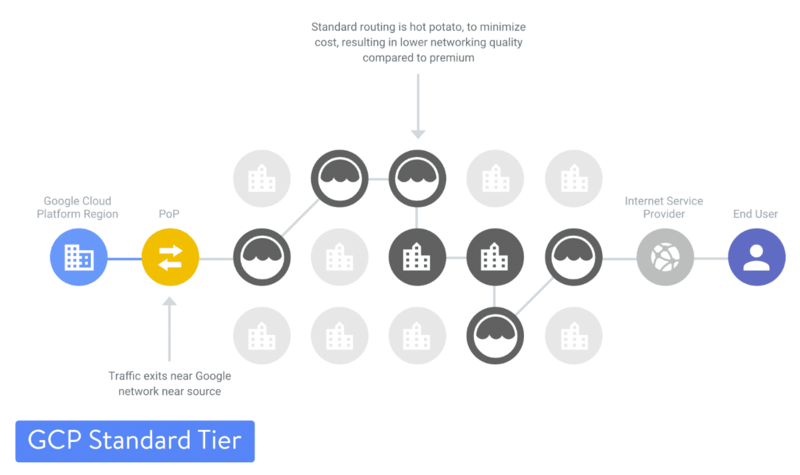 The storage that Google Cloud Platforms offer you is an extremely dynamic solution for storage which can support both NoSQL (Cloud Datastore) and SQL (Cloud SQL) database storage. For hosting the data workload, IaaS or the Google Compute Engine basically offers its user a virtual machine instance. PaaS which is the abbreviation of platform-as-a-Service provides the software developers the opportunity to enter the “on-demand hosting” and to the SDK or Software Development Kit for developing the applications that can run on the app engine. All of these services of Cloud Platforms can be contacted via the Public internet of dedicated networks. 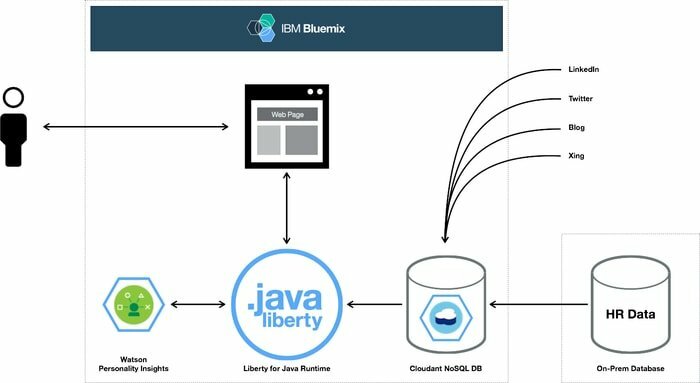 In the Cloud Platforms, the IBM Bluemix is such a Cloud Computing Solution that basically comes along with PaaS and IaaS together; which means you get the platform along with the infrastructure or IoT Architecture as services. 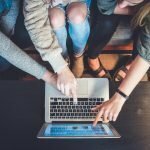 With this, you can easily deploy and get access to the virtualized to compute power, networking, and storage via the internet. These services can be used in private, public or hybrid model that suits the need of your organization. The PaaS of these Iot Cloud Platforms is based on the open source IoT platforms that are called Cloud Foundry. The developers can utilize the services of these IoT Cloud Platforms for creating, running, managing and deploying scalable applications for on-premises and public cloud environments. Alibaba is a part of the Chinese eCommerce monster- Alibaba Group. This group is now governing the Chinese market, and it has heredity all across the globe. As it works exactly like the Amazon, is believed to be one of the toughest opponents of AWS. Microsoft is now taking all their IoT Cloud Services gravely. They have got machine learning (ML), cloud storage, IoT services and for IoT devices this company has also improved their own operating system. This makes us know that they are intended to afford us an entire IoT Solution Provider. The pricing of this is done by four tiers which depend on the amount of data that is generated by your devices. For per unit, if the amount of messages is below 8,000 per day, then it is free. 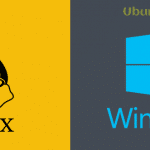 It will not get complex if you start trying to incorporate with the other Microsoft service, but you will get an amazing pricing calculator that can help you out. 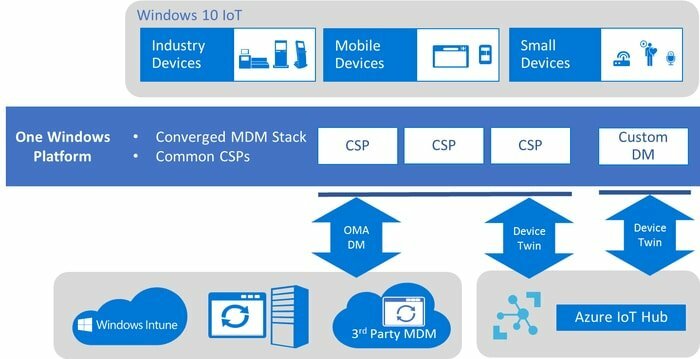 In the IoT cloud platforms of Microsoft, you can go for the machine learning, data analysis, with which you can create other cool application. Oracle is one of the best cloud platforms that focus on logistics and manufacturing operations. To get the products faster than ever, they will help you. The pricing for the Oracle is usually calculated according to the number of devices. You will get a set of messages for per devices for using every month. If the number of messages increases then additional charges will be applied to those. The Salesforce puts emphasize on the customer relationship management. The Cloud platforms of Salesforce are powered by the Thunder. Thunder focuses on the idea of real-time and high-speed decision making. Their idea is mainly to craft meaningful interactions of the customers. Their easy-to-use UI design includes “point-and-click” which is made for connecting the users with their customers. The SAP is one of the best IoT Cloud Platforms in the market for the last couple of years. SAP, the cloud platform is now extending the capabilities for Big Data, Artificial Intelligence, Machine Learning, and IoT. This IoT Cloud platform is now offering you the most recent technologies for earning more money for your business. The pricing of SAP is very easy to understand. There are three tiers for SAP, and they are Medium Business, Enterprises, and Developers. The Germany based company – Bosch has lately launched their own IoT Cloud Services for challenging the companies like Amazon and Alibaba. The basic focus of Bosch is efficiency and security. The IoT Cloud Platforms of Bosch is very flexible, and they are based on open source along with open standard. The CEO of Bosch is Volkmar Denner, and according to him, they are offering all the leading cards for the entire connected world by only one source. 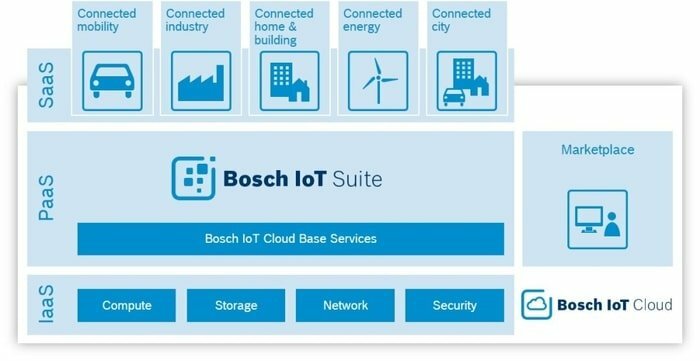 The IoT Cloud of Bosch is the ultimate piece of the puzzle which is completing the Bosch Software expertise. This is now a complete service provider for IoT and connectivity. With the goal of strengthening your relationship with the customers, Cisco focuses on helping you in finding newer ways of connecting with other devices. There are a lot of jargon surroundings of Cloud computing, and among them, this company speaks in plain English, it is very nice to hear this. Getting into the IoT Cloud Platforms is not easy. The General Electrics Predix is determined to adopt the idea of platform-as-a-service. They are emphasizing on the industrial marketing, and so they are providing offers for analytics and connectivity at scale for the conventional sectors. The pricing of General Electrics Prefix is usually done on the pay-as-you-go method. Comparing to the larger companies, they have not made any simple pricing table till now. However, they have got a cool interactive demo for you that you can try out. 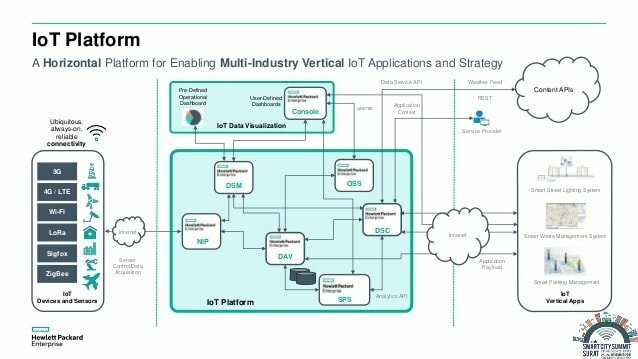 The cloud-based IoT Siemens MindSphere is an open IoT Operating system. The work of Siemens is affording connectivity to the devices and enterprises. They provide proper connections among the products, systems and the machines. Their focus is to connect the users to the generated data by the IoT Devices. 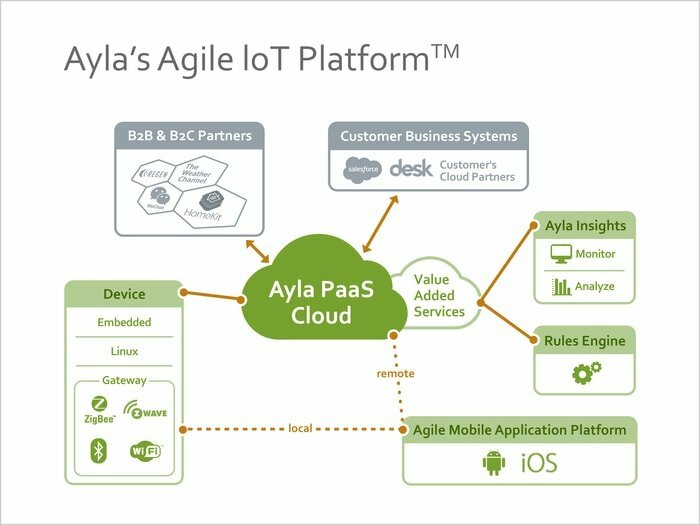 This kind of IoT Cloud Platforms is made with the open PaaS competences. The MindSphere was first launched in 2016 for allowing the users to create a partner ecosystem so that it can help them in developing and delivering industry applications efficiently. This Cloud Platform also affords you the ability to access the Cloud services of AWS. It also includes the attributes like the safe connection of possessions with the software and hardware connectivity solution. The Dell Technologies have broadcasted a fresh IoT-specific division at an event. 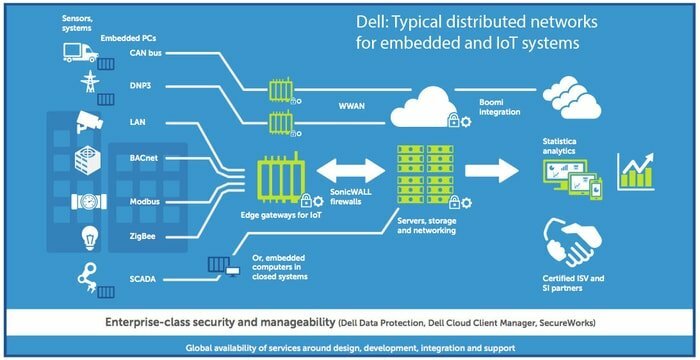 With an ambition of attaching the strength of Dell Gateway devices in the hardware, they are going to help the consumers with their IoT projects soon. The connected devices will be managed close to the edge with the help of Dell Gateways. The VMWare Pulse IoT Center will be your window for managing and monitoring the devices. This is what the frame of the project roughly looks like. 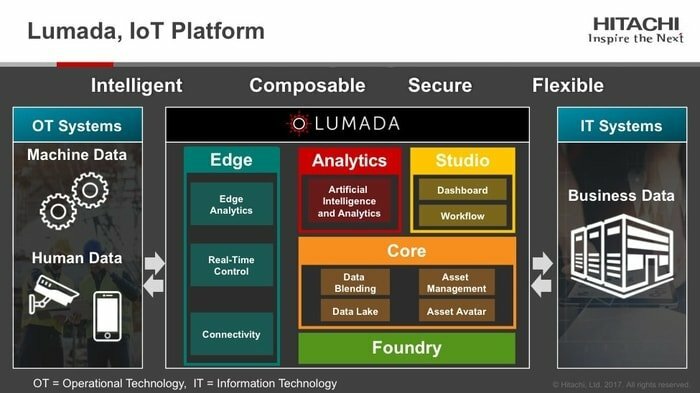 The IT vendor of the Japanese IoT Platform of Hitachi is named as Lumada, and this is now sitting exactly under the big data division Vantara at the company. 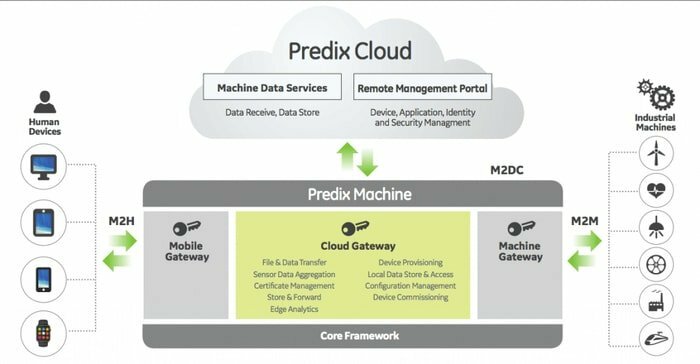 The company Hitachi addresses Lumada to be a portable IoT architecture that can easily be run in the cloud and also on-premises for supporting the industrial IoT deployments. The enterprise level of Hitachi includes machine learning and AL as a method for the customers so that they can resolve the problems before the problem occur. The ThingWorx by PTC is constructed for the building of the industrial IoT Solutions. 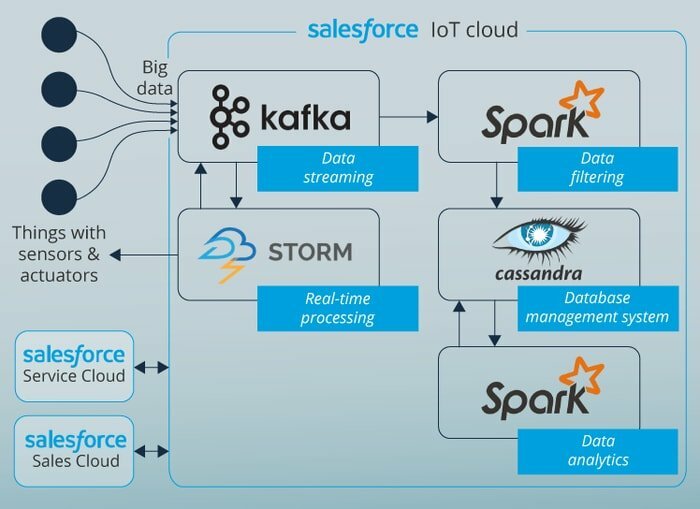 This is said to be one of the most inclusive toolsets among all of the IoT Cloud Platforms for making IoT Applications of different scale and complexity. These IoT Cloud Platforms have got an amazing collaboration and sharing possibilities that will make it a perfect solution for the large development teams. 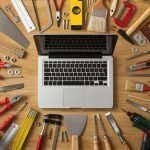 The native capabilities of the ThingWorx are enough for building a range of IoT application without the help of applying third-party libraries or components. The popular company Samsung launched their IoT Cloud Platform named Artik which will afford you end-to-end IoT advantages for the next generation of services and products. 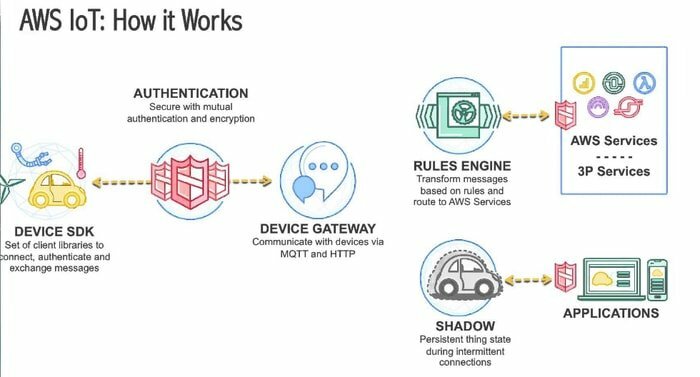 The Samsung Artik is famous for offering complete security to the products which are usually gets neglected by the other IoT Cloud Platforms. Along with the services like Artik Cloud, Security, Module, and ecosystem, Samsung focuses to afford you IoT cloud platforms that can provide you the utmost security. It serves the security against hacking, and the cloud is very easy to use if you are with Artik. 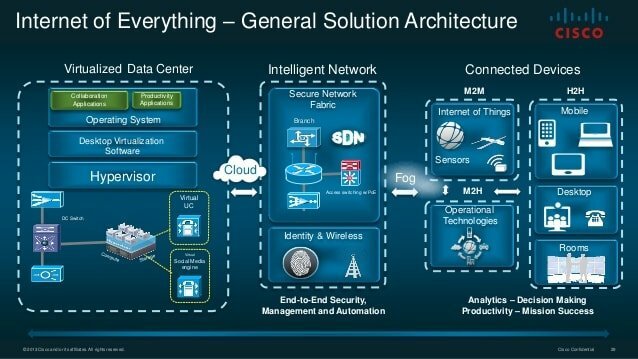 Regarding the IoT architecture, Hewlett Packard Enterprise offers the users scalability with the help of affording them the solutions of their major problems. This will help you to deploy your platform over the cloud and also locally. The IoT platform of Hewlett Packard Enterprise has already been used in the automobile industry and the smart cities which have brought immense success. The services HPE includes secure monetization, application designer and marketplace, platform architecture and data analytics. Datav by Bsquare works with the best features of the Amazon, Google and Microsoft web services. This company is very serious about their work. Datav has been launched as a hybrid platform application for managing your services. It has got some services that can easily predict and analyze the issues of your ecosystem. 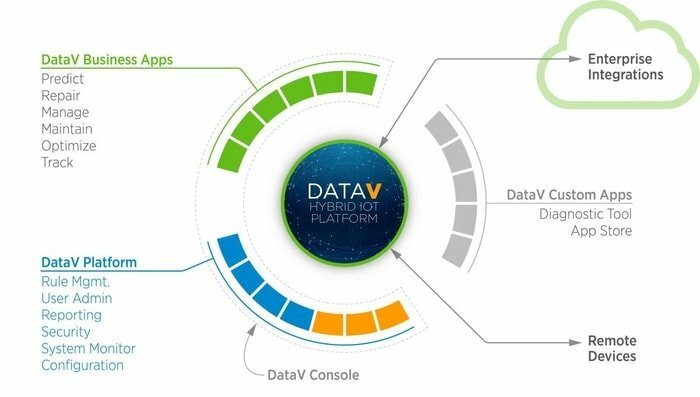 The services that Datav offers are predictive failures, adaptive diagnostics, IoT device management, condition based maintenance, and asset optimization and utilization. For an end-to-end solution for the businesses, Ayla has entered the market. Agile Ayla networks now have been made for not only developing the product but also for helping the clients with the proper set up of the services. 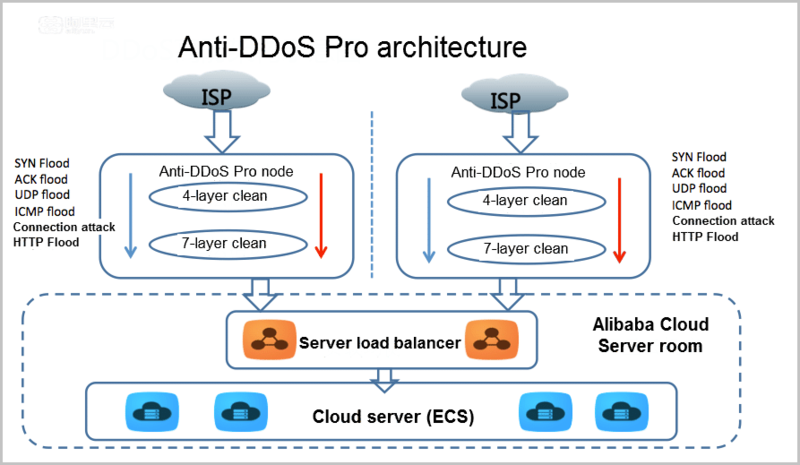 For doing this, the company has set up their own embedded agents, application libraries and cloud services for providing the ultimate solution. This company also affords Ayla’s Agile Mobile Application Platform named AMAP that can develop and guide the customers in app development. It usually offers services like Ayla insights for keeping the consumers updated about the changing trends. 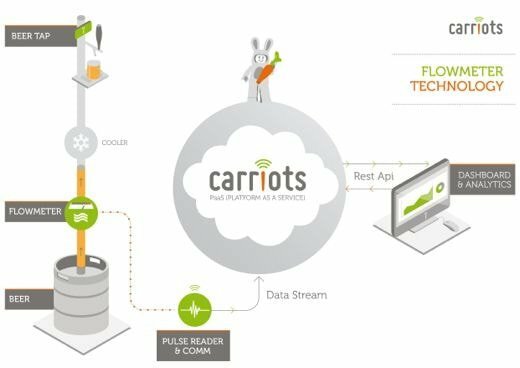 For building and hosting the Internet of Things Application, a PaaS platform named Carriots is gradually gaining public popularity. 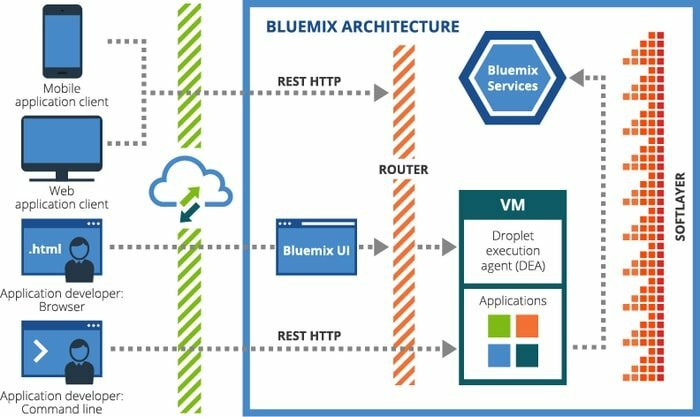 This Iot Cloud Platform is easy to use while integrating with the other applications. Even for machine-to-machine development, Carriots is used. The services that Carriots IoT Cloud Platforms usually offer you device management, debug and logs, Data export feature, custom alarms, custom control panel, user management, API key management, and ADK application engine. At this phase of time, the Internet is run by the human. Soon the time will change, and a completely new idea of devices will take over the internet. There will be less human working in this field, and more machine-to-machine conversations will happen. These machines are named as THINGS. As these devices are going to be connected, they will require a place to store, process and send data. This is where the idea of CLOUD SERVICES arises. This piece of writing contains some best IoT Cloud Platforms, and now you will select the best IoT Cloud Platforms from our recommendation. Do you know any of the IoT Cloud Platforms that we have not reviewed? Let us know by commenting below. Do not forget to share our reviews because your one share will help people in gaining knowledge.